ProGeorgia is seeking a talented leader with a record of success managing civic engagement programs and overseeing organizational operations to serve as deputy director. The deputy director will help develop, plan, and implement strategic, year-round, coordinated civic engagement programs in order to achieve table project and program outcomes. In addition to achieving short-term program goals, the deputy director will help to build long-term capacity through leadership development, increasing communications skills, and data-driven programming. This position reports to the ProGeorgia Executive Director. ProGeorgia is a statewide network, or table, committed to the goal of ensuring that every Georgian is able to fully participate in our democracy. ProGeorgia is a new model for coordination among nonpartisan 501(c)3 organizations that have civic engagement as a core part of their mission. ProGeorgia is a permanent collective impact initiative focused on solving real problems for real people in Georgia, and on bringing greater equity to our state by engaging underrepresented and socially responsible voters in the democratic process and establishing collective action around common issue areas. Those issue areas include voting rights, quality and affordable health care, economic justice, civil rights, improving public education and more. Through common sense collaboration and increasing political engagement, we work to create measurable positive change in our state. We work collectively to achieve shared goals, increase effectiveness, reduce duplication, and embrace a new way of doing our work that will result in greater impact. We are a member of the national State Voices network now active in over 20 states across the country. Work closely with the Executive Director and staff of ProGeorgia, along with our state and national partner organizations to implement and manage the overall strategy to expand and mobilize the electorate and guarantee that policy-making is guided by the public interest, not special interests. Provide strategic programmatic guidance and support to the table’s workgroups including the development of shared plans, budgets, metrics, and evaluations, innovative new approaches, long- and short-term organizing strategies and engagement of new allies and potential partners. 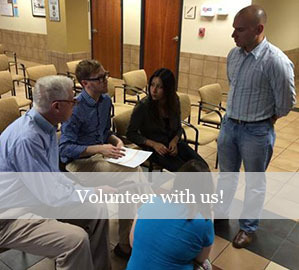 Assist organizational partners in developing strategic nonpartisan civic and voter engagement plans that encourage year-round civic engagement programs including issue education and organizing and voter registration and mobilization. Create tracking systems to synthesize organizational plans and produce reports on gaps in the overall strategy. Develop and maintain strong communication with our partners and allies in state and nationally; some fundraising duties. 5+ years leadership experience in civic engagement, community organizing, and/or political campaigns required. Experience working with underrepresented and/or diverse communities. Commitment to the goals of the table including civic engagement and economic, social, and racial justice. Ability to communicate effectively, work well under pressure, be detail oriented, and meet deadlines. Diplomatic, professional approach to problem solving, and the ability to think independently and creatively. Collaborative nature, able to work many different personalities. Experience facilitating coalitions and knowledge of the political landscape in the state are required. Excellent organizational, time-management, oral and written communications skills. Must exercise good judgment and discretion and be able to work independently and as a member of a group. Must be a self-starter; willing to occasionally work irregular hours. Strong VAN (Voter Activation Network) skills preferred and familiarity with online electoral tools such as Catalist and constituent relationship management tools is a plus. Experience working with a state table as staff or table partner staff is desirable. Proficiency with Microsoft Office, Google Suite, Internet organizing, and social media. Willingness and ability to travel regularly within Georgia and some national travel. Bilingual fluency in Spanish is a plus. Compensation: Compensation is competitive and negotiable depending on background and experience, and includes a full benefits package. To apply: Please send resume, cover letter, and salary requirements to jobs@progeorgia.org. Please indicate “GA Deputy Director” in the email subject line. Applications accepted until position is filled. Equal employment opportunity and having a diverse staff are fundamental principles at ProGeorgia, where employment and promotional opportunities are based upon individual capabilities and qualifications without regard to race, color, religion, gender, gender identity or expression, pregnancy, sexual orientation, age, national origin, marital status, citizenship, disability, veteran status or any other protected characteristic as established under law.